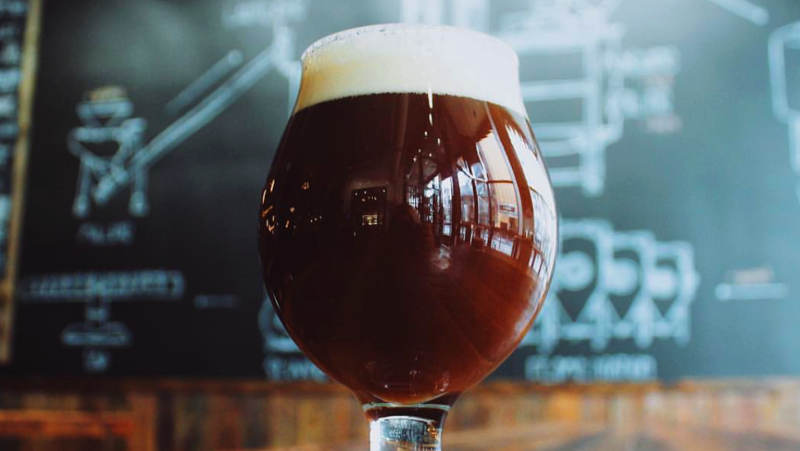 Barleywine: where they come from, their appearance, flavour & aroma, palate & mouthfeel, food pairings and serving suggestions are all explained in this Beer Styles 201 article. A Barleywine is one of the biggest and boldest beer styles there is. Before IPAs and Imperial Stouts took over the craft beer scene, Barleywines were some of the strongest beers that you could get with ABV percentages ranging from as low as 8% to as high as 15%. To achieve such a high ABV%, brewers add more malts to the beer. All of that malt turns into sweetness, which is why Barleywines also need extra helpings of hops to balance out the flavour. The large combination of hops and malt is what makes Barleywines such a complete beer style. Why is it called a Barleywine? Barleywines earned their name based on their strength and complexity — two characteristics that are similar to wine. The strongest Barleywine beers have ABV percentages closer to wines than beers. Because of a Barleywine’s high alcohol percentage, the beer ages extremely well — kind of like a fine wine! The Barleywine beer style was first brewed in England. Americans developed their own style of Barleywine based off the English version. Barleywine’s colouring can range between a light copper/amber to a dark brown, sometimes even black. Barleywine Flavour: What does barleywine taste like? Flavours of bread, caramel, honey, molasses, and toffee are often present in Barleywine beers. Barleywines can even sometimes come off as fruity and even sweet, but no matter what they always have a strong alcoholic taste. Aromas in a Barleywine can differ greatly with each brew. The aromas can range from bold fruitiness, to dynamic bread notes, to daring hops. The body of a Barleywine is typically quite thick. Alcohol will definitely be present, and flavours range from dark, rich fruits to palate smacking, “resiny” hops. American Barleywines are usually more bitter than English Barleywines. What foods pair well with a Barleywine? Barleywines can easily be too much when paired with a main, big meal. Try pairing your Barleywine with strong cheeses like stilton cheese and lighter snacks, like walnuts. Barleywines also pair nicely with bold desserts. Try a rich chocolate, hazelnut cake, or anything with toffee or caramel flavours. It is a known rule that as the ABV% of a beer increases, the size of the glass should get smaller, as well as the serving size. Barleywines are usually served in a Snifter glass that is sometimes used for brandy or cognac. Join us as we cover Germany’s wheat beer styles; from weizens (wheat beers) and Weissbiers (white beers) to Dunkel Weissbier and Weizenbock. A brief history and vital statistics about each.